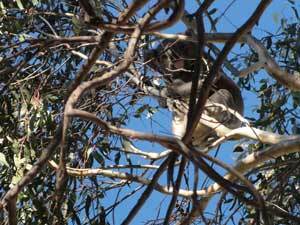 The natives get pretty close in Armidale, having a koala outside your window can be distracting! We're always on the look out for interested students to come and join the lab. If the research on this site sounds interesting, then feel free to contact me and discuss some options. I will happily supervise students or host post docs that cover any area of behaviour/natural history, as long as I feel that I can contribute to the project. I'm particularly interested in students working on these topics, however am happy to consider others. See below for some useful information to help get you started. Armidale is a beautiful city, with distinct seasons. While it can be cold overnight in winter, the trade-off is glorious sunny days with little wind and clear skies. We are fortunate within a couple of hours drive of every habitat from deserts to rainforests to the coast. Armidale is also surrounded by many National Parks and reserves, so finding a close field site is easy! To learn more about Armidale, have a look here. A better view, but probably the result of more distraction! For those looking for scholarships to fund PhD projects, see Scholarships. Those thinking about life as a PhD student should also look at other resources, such as Scott Keough's excellent page on academic life. And, in the interests of procrastination. Finally the lab is well resourced, so students and visitors can look forward to access to a fast lab computer, funds to purchase their own desktop, an office, audio and video recorder gear, sound booth for experimental playbacks, access to short-term animal holding facilities, PIT tag readers and so on. 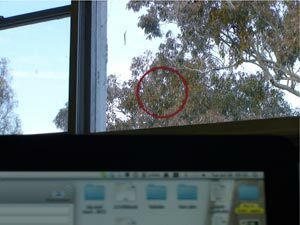 Finally, you can have koalas at your window, what more do you want!